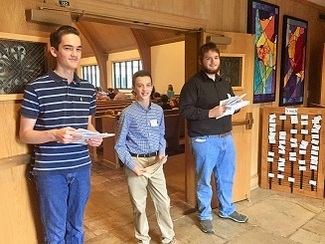 Three youth and one adult needed to USHER before, during and after worship. Arrive in the Narthex at 10:00 AM. Before worship hand out bulletins, make sure there is water in the pulpit and at the font. During worship count the congregation and nursery kids, and collect offering. After worship, clean up pews, collect Friendship Pad pages, and lock the exterior doors to the church.